When fixed rates hit an all-time low, it’s no wonder people want to jump to secure a fixed rate mortgage. 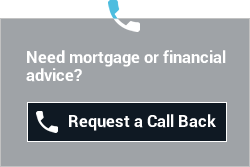 A fixed rate mortgage allows for you to have a fixed mortgage payment each month for the chosen set period – which works particularly well for those clients who want the security of knowing what their mortgage payments will be for a set period, regardless of the changes that occur with the Base Rate of England. If moving into a property which you intend to live in for quite some time, a five or ten year fixed rate will ensure that your mortgage payments will remain the same for that period and you do not have to worry about interest rate rises for that period of time. However, it all depends on what you can afford to pay each month and your attitude to risk – generally, the shorter the fixed rate term, the lower the initial interest rate. Therefore, a two year fixed term may be more suitable to an individual whose main priority is to have a lower monthly payment in the short term and is not too concerned about future rate rises. With many clients concerned about the future of rate increases, we are finding more clients wanting to fix their mortgages for longer periods. Although the five and ten year rates are higher than the two and three year rates, clients are seeming to prefer the stability of knowing that their mortgage payment will not change for the longer period of time. Not everyone is suited to a longer term fixed – they may be buying their first property, or re-mortgaging a current property, which they plan to sell in the next few years – a longer term fixed rate, would mean they may have an early repayment charge, if they repay the mortgage within the rate period. Each client is unique, with different requirements and attitudes. If you are looking for a new mortgage, on a standard variable rate and/or thinking of re-mortgaging then we would be more than happy to discuss what is available in the current market based on your personal circumstances and give you sensible and practical advice. For more information and to discuss your options with an advisor please give us a call on 0208 427 5057 or email us enquiries@london-fs.com.